Was the women’s march bigger than inauguration? Let’s compare images. Was the Women’s March Bigger Than the Inauguration? Let’s Compare Images. Demonstrators protest on Saturday at the National Mall in Washington for the Women’s March on Washington. Crowd estimates are always tricky, and comparisons even more so. 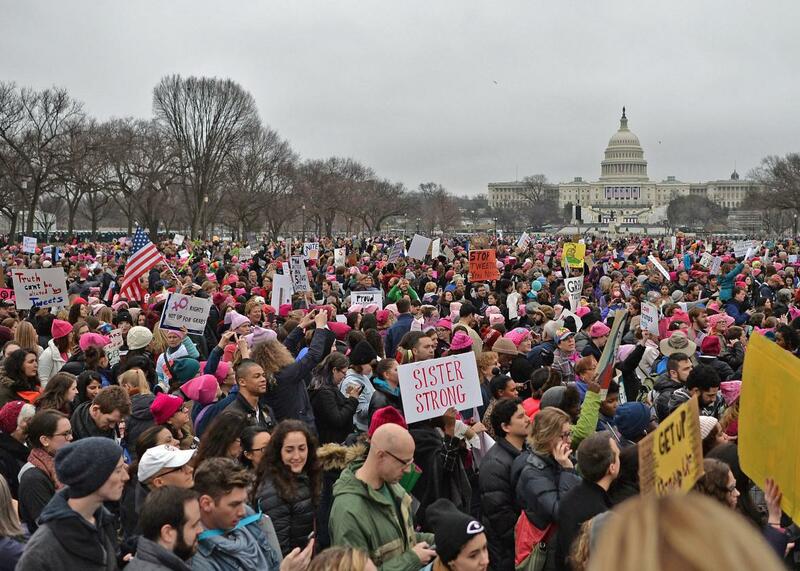 But side-by-side photos do make it look like more people were on the mall during Saturday’s Women’s March on Washington than during Donald Trump’s inauguration the previous day. Different angles can certainly distort things. But taking a look at photos from the Mall grabbed from the EarthCam website sure make it look like there were more people on the streets during the march. The difference is even more impressive when you consider that the march also filled the streets around the mall. Although not as good for side-by-side comparisons, other photos also put on display the sheer number of people that took part in the Saturday march. 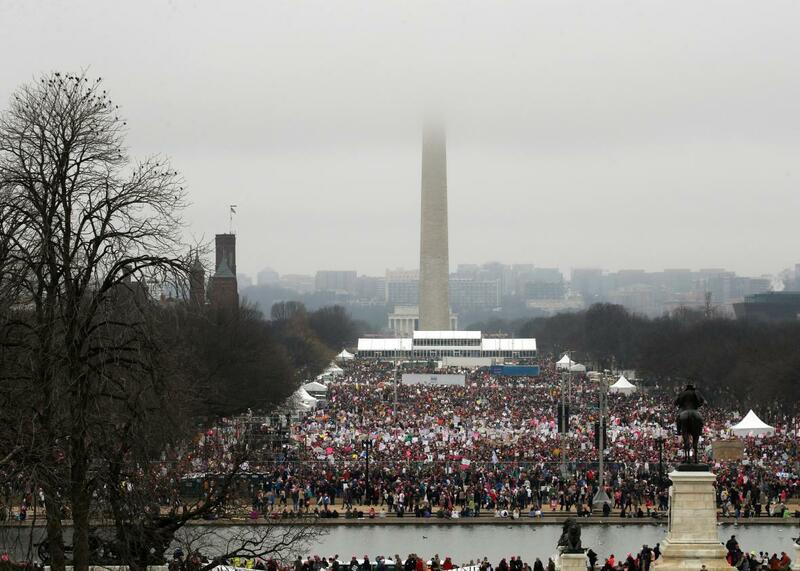 The top of the Washington Monument is shrouded in clouds as people pack the National Mall for the Women’s March on Washington on Saturday. Of course, that also doesn’t take into account the hundreds of thousands of people who took part in “sister marches” across the country and around the world.